In the Press: Female Mexican Wolf Shot Dead in Southwestern N.M.
Arizona Republic Editorial, December 7, 2011-Letter to the Editor Opportunity! Your Letters are Needed by November 16! Supporters Needed to Speak Out for Wolves! Movie Review: “Stories of Wolves — the Lobo Returns” Teaches "The Web of Life"
Tell the Fish and Wildlife Service Lonely Lobos Need Mates! Lobos a Great Success at the Tucson 2011 All Souls Procession! Submit your comments by November 5th! Events: Southwest Environmental Center Celebrates Lobos in November! Arizona Daily Star, October 18, 2011 (posted 10/19/11) Show support with a letter to the editor! Historic News! Mexican Wolves Return to Mexico! Celebrate Wolf Awareness in October! Attend a Mexican Wolf Event Near You, or Create your Own Celebration! National Wolf Awareness Week begins on October 16th, but we're celebrating all month long! Event: Wild Wolf Film presents: "Stories of Wolves-The Lobo returns"
In the News: Should Mexican Gray Wolf Be Cared For By States Or Federal Government? More Pro-Wolf Letters to the Editor in Southwest Papers! Mexican Wolf Art and Photo Contest Winners are Andrea Morales, Marlene Barrett, and Miki Wolf –Krenelka! Where’s El Lobo? One Week Down, One to Go. Fifty wolf silhouettes are on display throughout Tucson, Arizona until September 17. Mexican Wolves Art and Photo Contest! Win a $25 Gift Card and Lobo Goodies-Open to All Ages-Deadline August 31! Ageing wolves: How Well Do They Hunt? Video: Mexican Gray Wolf Puppies Get Bones for the First Time! Will the Feds Start Trapping and Shooting Mexican Gray Wolves Once More? Blog: Wolf Conservation Center to Host Two Mexican Wolf Breeding Pairs in 2012! Top predators may hold a key to life itself. Can people and predators coexist? Can we afford not to? Limited Supply Lobo Bumper Stickers Available! 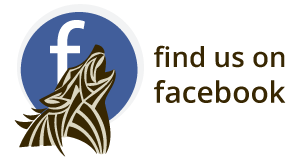 Show Your Support for Mexican Wolves and Mexicanwolves.org! Event: Grand Canyon Wolf Recovery Project Will Ride in the June 4 Hullabaloo Bicycle Parade to Celebrate Wolves! Decorate your bicycle with wolf decorations and come ride with the pack! Action Alert: This Endangered Species Day, Your Members of Congress Need to Hear From a Mexican Wolf! Action Alert: PLEASE STOP H.R. 1581, the "Wilderness and Roadless Area Release Act"
In the Press: Howl 'bout Lehigh Valley Zoo's newcomers? Urgent: Contact Your Senators to Oppose Anti-wolf Budget Bill Riders! One of the last wild Mexican wolves, filmed only a short time before the species went extinct in the wild. In the Press: Endangered Species Act threatened. Jon Tester breaks campaign promise (again) and attaches anti-wolf rider to Senate’s Continuing Funding Resolution. Respite for wolves! - The Continuing Resolution Budget bills with anti-wolf riders (1713 & 1709) have been defeated in the Senate !! Tell your Senator today-the public wants wolves protected. Hot off the press, a brand-new Harris poll shows broad support for the Endangered Species Act and for wolves. The poll results linked below are in PDF format. Take Action for Wolves, Wildlife, and the Endangered Species Act Today! 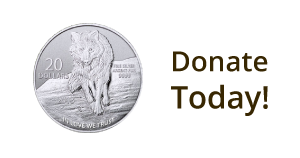 Last Chance to Win a White Mountain Apache Mexican Wolf Ecotour! Raffle supporting the tribe’s efforts to restore lobos and the Grand Canyon Wolf Recovery Project will be drawn March 4. If you live in Arizona, please contact your State Senator and ask him or her to vote no on SB 1392 and SB 1395. This February 18 article from the ABQ Journal describes Rep. Pearce’s underhanded attempt to end federal funding for Mexican wolf recovery. These recently published editorials and excellent letters to the editor provide an opportunity to let everyone know wolf extinction legislation has to be stopped. URGENT: ACT NOW-Bill in the House Now Will Take Away All Funding for Mexican Gray Wolf Recovery!! ACT TODAY TO STOP EXTINCTION! New Congressional Bills Will Strip Protections from Critically Endangered Mexican Wolves! World Premier of Green Fire is Coming to Albuquerque and Other Cities All Over the U.S. Please Take Action Today to Save Mexican Wolves! Congressional Bills Will Strip Endangered Species Act Protections From Gray Wolves! Lobo Activist Toolkit-A Good Start for a New Year! Want to get more involved? Check out the new Lobo Activist Toolkit - everything you need to translate passion into action!